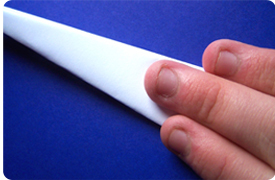 Did you know that a piece of paper can’t be folded in half more than 7 times? If you didn’t know that, then perhaps you didn’t know that there are unlimited printing options available for your next project. From numerous paper stocks to a wide variety of finishing techniques, Proforma Distinctive Marketing can help you create just the right combination to send your message in style. On your next marketing campaign make a statement with all of your printed materials including: brochures, catalogs, custom packaging, calendars, direct mail pieces and so much more. Looking for a cost-effective way to keep your name in front of your customers every day of the year? Proforma Distinctive Marketing has the solution. Why not create a personalized calendar that delivers your marketing message and reinforces your brand identity. We’ll help you every step of the way from conceptualization and design to production and distribution. Now is the perfect time to start planning. When it comes to calendars… timing is everything.